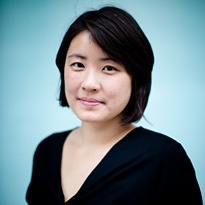 Janie Chuang is an Associate Professor of Law at American University Washington College of Law and a current Fellow of the Open Society Foundations. Professor Chuang teaches courses in international law, human trafficking, international commercial arbitration, and gender and labor migration. In her scholarship, Professor Chuang specializes in issues relating to gender and labor migration, specifically, trafficking in women. As an advisor on trafficking issues for the UN Office of the High Commissioner for Human Rights, Professor Chuang participated in the drafting of the UN Trafficking Protocol to the UN Convention on Transnational Organised Crime, advocating for the inclusion of human rights protections for trafficked persons. Prior to joining WCL in 2004, Professor Chuang practiced with the law firm of Cleary, Gottlieb, Steen & Hamilton, representing foreign governments in international litigation/arbitration and pro bono clients in asylum and human rights cases. Professor Chuang is the U.S. Member of the International Law Association’s Feminism and International Law Committee. Professor Chuang has served on the Executive Council of the American Society of International Law, and as Co-Chair of the Women in International Law Interest Group of the American Society of International Law. Janie Chuang, The U.S. Au Pair Program: Labor Exploitation and the Myth of Cultural Exchange, 36 HARV. J. L. & GENDER ___ (forthcoming June 2013). Janie Chuang (with Anne Gallagher), The Use of Indicators to Measure Government Response to Human Trafficking, Indicators as A Technology of Global Governance (Kevin Davis, Benedict Kingsbury, Sally Engle Merry, eds., 2012). Janie Chuang, Article 6, The UN Convention on the Elimination of All Forms of Discrimination Against Women: A Commentary (Marsha Freeman, Christine Chinkin, & Beate Rudolf, eds., 2012). Janie Chuang, Article 6, The UN Convention on the Elimination of All Forms of Discrimination Against Women: A Commentary (Marsha Freeman, Christine Chinkin, & Beate Rudolf, eds.) (2012). Janie Chuang, Rescuing Trafficking from Ideological Capture: Prostitution Reform and Anti-Trafficking Law and Policy, University of Pennsylvania Law Review, Vol. 158, 2010. Janie Chuang, Achieving Accountability for Migrant Domestic Worker Abuse, North Carolina Law Review, Vol. 88, 2010. Janie Chuang, The United States as Global Sheriff: Using Unilateral Sanctions to Combat Human Trafficking, Michigan Journal of International Law, Vol. 27, No. 2, Winter 2006. Janie Chuang, Beyond a Snapshot: Preventing Human Trafficking in the Global Economy, Indiana Journal of Global Legal Studies, Vol. 13, No. 1, Winter 2006. Janie Chuang. Human Trafficking (panel summary), Proceedings of the 99th meeting of the American Society of International Law (Lawrence Helfer & Rae Lindsay, eds., 2005). Janie Chuang. Redirecting the Debate over Trafficking in Women: Definitions, Paradigms, and Contexts. 11 Harv. Hum. Rts. J. 65 (1998).